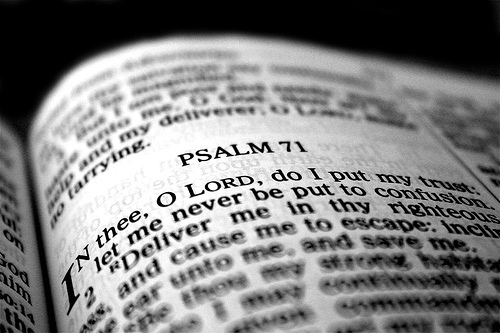 The book of Psalms contains many wonderful verses about mercy, love and hope. The word “mercy” is often used in the psalms when talking about God’s love and care over us. One definition of mercy is God withholding the punishment we deserve. Is there any better description of love than that? The following verses are psalms about God’s mercy toward us. Psalm 13:5, 6 But I have trusted in thy mercy; my heart shall rejoice in thy salvation. I will sing unto the LORD, because he hath dealt bountifully with me. Psalm 25:6, 7 Remember, O LORD, thy tender mercies and thy lovingkindnesses; for they have been ever of old. Remember not the sins of my youth, nor my transgressions: according to thy mercy remember thou me for thy goodness’ sake, O LORD. Psalm 57:9-11 I will praise thee, O Lord, among the people: I will sing unto thee among the nations. For thy mercy is great unto the heavens, and thy truth unto the clouds. Be thou exalted, O God, above the heavens: let thy glory be above all the earth. Psalm 94:17, 18 Unless the LORD had been my help, my soul had almost dwelt in silence. When I said, My foot slippeth; thy mercy, O LORD, held me up. Psalm 100:4, 5 Enter into his gates with thanksgiving, and into his courts with praise: be thankful unto him, and bless his name. For the LORD is good; his mercy is everlasting; and his truth endureth to all generations. Psalm 103:8-12 The LORD is merciful and gracious, slow to anger, and plenteous in mercy. He will not always chide: neither will he keep his anger for ever. He hath not dealt with us after our sins; nor rewarded us according to our iniquities. For as the heaven is high above the earth, so great is his mercy toward them that fear him. As far as the east is from the west, so far hath he removed our transgressions from us. Psalm 109:26, 27 Help me, O LORD my God: O save me according to thy mercy: That they may know that this is thy hand; that thou, LORD, hast done it. Psalm 145:8-10 The LORD is gracious, and full of compassion; slow to anger, and of great mercy. The LORD is good to all: and his tender mercies are over all his works. All thy works shall praise thee, O LORD; and thy saints shall bless thee. Psalm 147:10, 11 He delighteth not in the strength of the horse: he taketh not pleasure in the legs of a man. The LORD taketh pleasure in them that fear him, in those that hope in his mercy. Psalm 136 is dedicated to lifting up the mercy of God. Each of the 26 verses ends with the phrase “for his mercy endureth for ever.” Praise the Lord for His infinite mercy toward us! GOD BLESS U AND EVERYTHING THAT CONCERN U IN JESUS NAME. AMEN. THIS IS A BLESSING TO HUMANITY. I WILL LOVE TO ALWAYS RECIEVE EDIFYING TOPICAL MESSAGES AND FOR MY WIFE AND DAUGTHER THROUGH THEIR EMAIL RESPECTIVELY = unuakhetaiwo@gmail.com unuakhepmo@gmail.com. So far, what I have read is interesting and a sort of excitement has been ignited in me concerning what I believe I am yet to come across going forward. I have great expectations. I am excited about what I have read. I will love to get the free daily updates. I glad to see inspiring sermon and i believe God is using you mightily God bless you and prosper you. The lord is good……..all the time. From today change your attitude in prayer and the grace come on you . I prise the name of the Lord always!! Next post: Are Guardian Angels Biblical?